The BeoPlay H7 headphones are the over-ear type and offer an optimally balanced sound experience with a cool and intuitive touch interface. It looks great too with appealing materials and sleek aesthetics. The BeoPlay H7 wireless headphones provide the same Bang & Olufsen authentic signature sound, so you can really unleash your favourite tunes with or without the cable. Turn it on and immediately feel in control thanks to the intuitive aluminium touch interface which allows you to answer calls, change songs or adjust the volume – even if you are wearing gloves! The incredible battery technology allows the BeoPlay H7 wireless headphones to offer up to 20 hours of continuous wireless play and can be swapped easily, or recharged via USB. The leather and polished aluminium design looks great and feels really comfortable too, thanks to the inclusion of materials such as memory foam and lambskin. 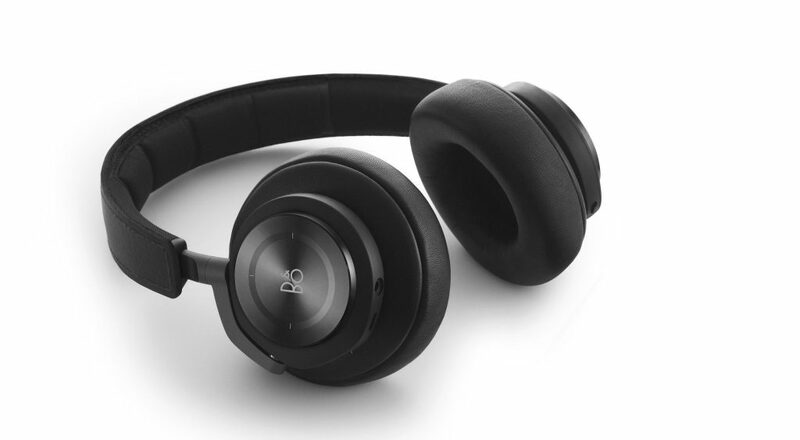 The Bang & Olufsen BeoPlay H7 Wireless Bluetooth Headphones are a real pleasure to wear and use, with an optimally balanced sound experience in all operating modes, wireless or corded. These headphones weigh just 280g and use an Electro-dynamic 40mm driver for amazing crystal clear sound quality. The wireless connectivity comes via Bluetooth 4.1 with support for aptX and AAC codecs, so wireless or connected via 3.5mm cable – you get the same Bang & Olufsen authentic signature sound. From around £270 the Bang & Olufsen BeoPlay H7 headphones are not cheap, but it seems you do get what you pay for when it comes to the Bang & Olufsen brand. These headphones ooze quality and actually feel like they should be even more expensive, and lets not forget the sound quality, it’s incredible and really brings sounds to life, whatever your musical tastes.